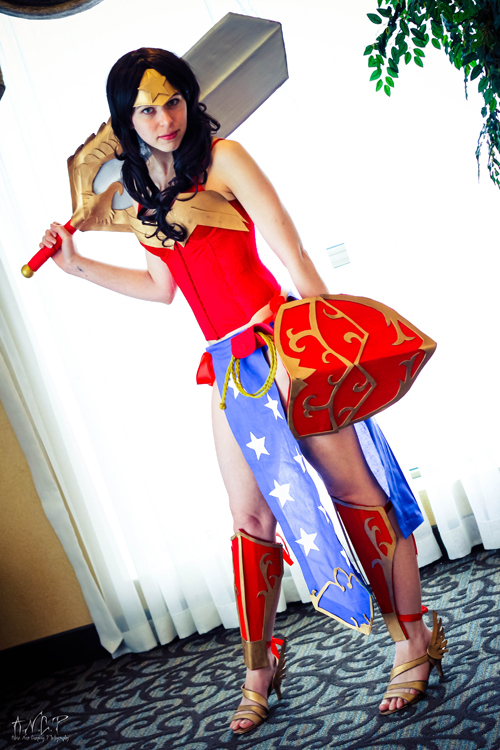 "This cosplay has turned out to be one of my favorites I've made to date. Though I have plans to update it, I'm still pretty proud with how this costume turned out. I made everything except the corset, mostly out of craft foam and cardboard. I based the design heavily on the Ame-Comi figurine, though it's not exactly accurate due to time constraints. Wonder Woman has always been a favorite DC girl of mine, so when I saw the figurine I knew I had to attempt this cosplay. The con wasn't the best venue for photos, and this cosplay was not going outside in a blizzard, but Miss Ailes Noir Photography managed to capture some amazing shots that I'm very happy with."